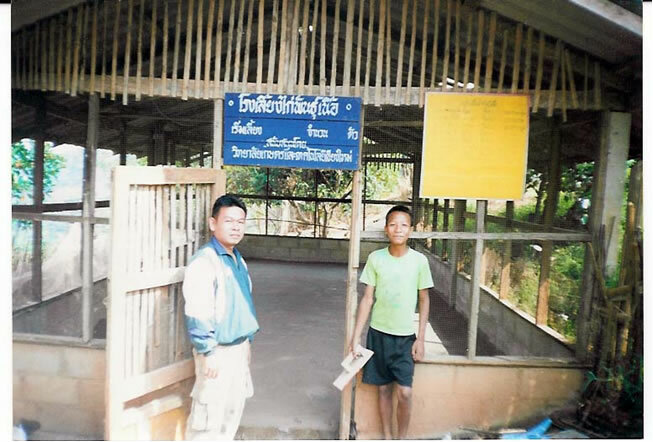 "The Lunch Project" to build chicken farm & vegetable garden by Nanyang Junior College, Singapore, from 31 May, - 11 June, 2002 At Pai District, Mae Hong Sorn Province. Intel Technology Asia Pte. Ltd., Singapore, in cooperation with Intel Microelectronics (Thailand) Ltd., The Rotary Club of Singapore, and Thai Youth Hostel Foundation have developed ‘Project International Action’ program to provide computer systems and education materials to less privileged rural children of Ban Pang Huay Tat School in Mae Tang District, Chiang Mai Province. 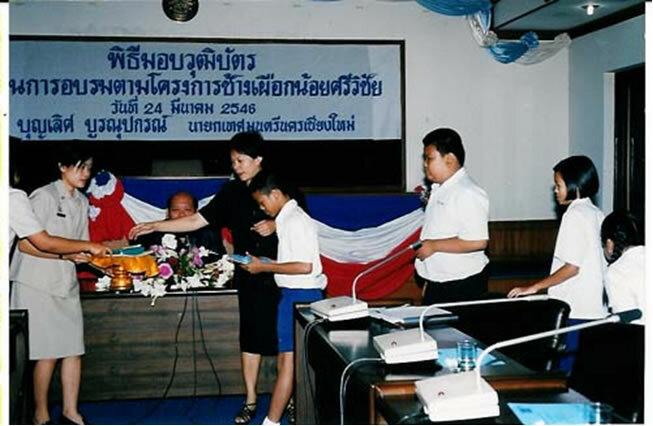 Intel also gave the mobile PCs to the Thai Youth Community Foundation in Chiang Mai. The Lunch Project "Aozoranomukoude Project"